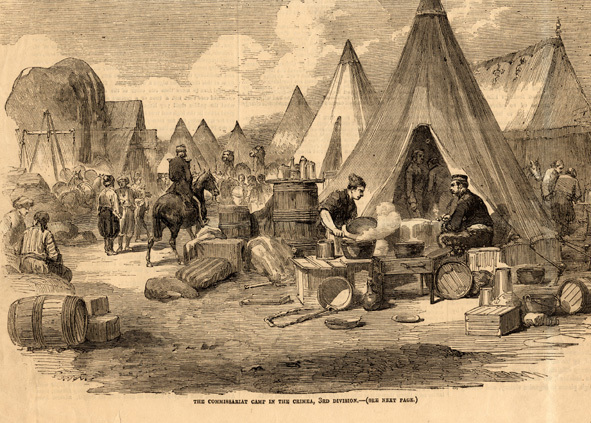 The idea of trained army cooks emerged from committees studying the suggestions of Alexis Soyer, a French chef, who travelled as a volunteer with the British Army to the Crimea (1854-56). Soyer developed stoves, basic boilers and simple recipes to help improve the diet and well being of the British soldier. In 1876 the British Army authorised the training of ‘Sergeant Cooks’ and the first Army School of Cookery was established in 1885. 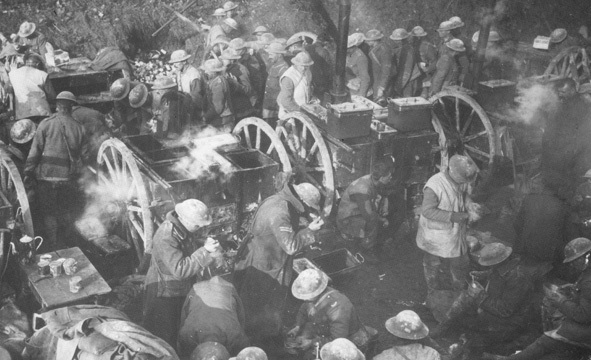 Prior to the First World War, regimental cooks were trained at Command cookery schools run by the ASC but the standard of meals produced in the field varied enormously. In the 1930s the government began to take a serious interest in improving the standard of living for the British soldier. In 1941 the new school of Army Cookery was opened in Aldershot, signifying the establishment of the ACC’s Aldershot barracks of St Omer. 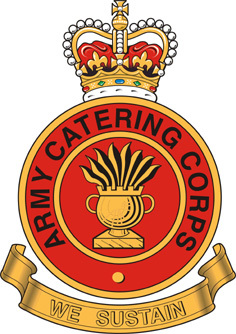 The Army Catering Corps was officially formed on 22 March 1941 and on 5 October 1945 the Army Council decided to retain the Corps as an integral part of the British Army. Approximately 70,000 served in the ACC during the Second World War. The "Soldiers Food" can be viewed without charge on this web site. It is the history of catering in the British army. "Taking Stock" can also be viewed without charge on this web site. It is a brief history of the ACC, and was produced in 2001 on the 60th anniversary of the founding of the Corps.